There’s a small chain of Brighton-based coffee shops called Ground, who serve some of the finest coffee in Brighton. That is where I got my first taste of Chocolate Guinness cake. The cake is designed to take on the classic look of a pint of Guinness, with its rich dark brown bottom and fluffy white top. 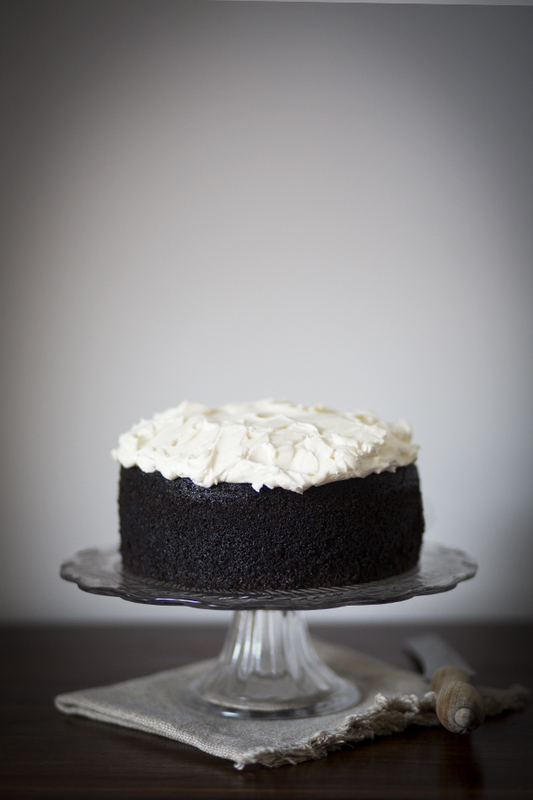 But it contains Guinness too – and that is what gives it its beautifully moist texture. Don’t worry though, it doesn’t taste of beer. One of the best recipes I’ve found is this one by Nigella Lawson, laden with butter, sugar and topped with a vanilla cream cheese topping. It’s certainly not for the faint hearted, but then this is a celebration cake, so I think its ok to push the boat out every once in a while! And if you don’t fancy making your own and happen to be visiting Brighton, I can’t recommend Ground highly enough. This is my all time favourite cake and has been the star of the show at many morning teas here in NZ. i think my boyfriend would love this, i must try it.